You’re guaranteed to reduce your electricity bills if you get solar panels. But looming changes are expected to collectively slash those savings — and no one knows how much. These shifts leave big questions for potential solar converts and the solar industry, which has thrived with the help of policies that have long made going solar an easy decision for high energy users. For now, there’s only one certainty: Get solar panels now and you’ll have a better sense of how much you’ll save and how long it’ll take to recover the cost of going solar with energy bill savings. Wait and you may not get a bad deal, but you won’t get the same one you can get now. Here’s a rundown of what we know — and what we don’t — about the impending changes. If you go solar now and sign up for a program called net energy metering, San Diego Gas & Electric has to credit you at the full retail rate for power your panels produce. That means customers can be credited up to 42 cents a kilowatt hour for the energy from their panels under the current rate structure. This system can help solar converts lower or totally offset their energy bills. This deal has a to-be-determined expiration date — and it’s a foregone conclusion that the new one isn’t going to be as good as the current one. The changes come as a result of AB 327, a law that calls for regulators to come up with a new net metering plan and energy rate structure. 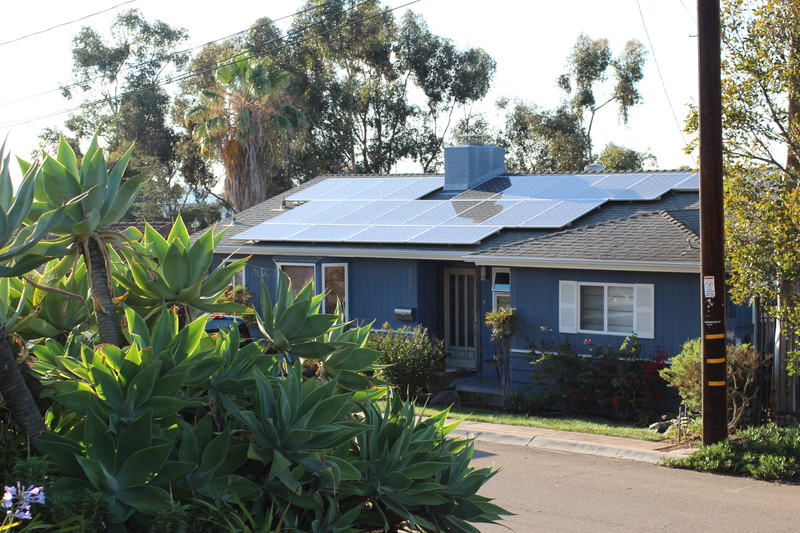 The California Public Utilities Commission already voted on the new rate system, allowing state utilities to move from the current four-tier system, which has incentivized solar investments for many folks, to a two-tiered one. (The more energy you use, the more you’ll pay in the higher usage tier.) SDG&E’s set to phase in those reforms over the next few years. The rate changes alone will add a few years to the time it now takes to recoup via lower bills the investment of going solar, though it should also make solar more attractive to customers whose bills will go up under the new system. Those reforms are closely linked with net energy metering. Not only do higher rates push more consumers to go solar, but they also allow solar customers to reap more credit for the power their panels produce through net energy metering. Now that latter deal’s changing, too. AB 327 requires the state to roll out a new net metering arrangement by July 2017, or once rooftop solar customers’ power production hits a state-set cap. San Diego’s likely to reach it before 2017. SDG&E data shows the region’s already more than two-thirds of the way to that cap. Energy wonks are now trying to calculate the value per kilowatt hour of solar power, and thus how much credit solar customers should receive for their contributions to the grid once the new system’s in place. SDG&E and various solar interest groups are set to make their proposals on how this should look by early next month. The Public Utilities Commission is expected to have a new structure figured out by the end of the year. No one knows how it’ll look. Right now, if you buy your solar panels outright or take out a loan, you could receive an income tax credit up to 30 percent within a year of that purchase. This incentive, known as the federal investment tax credit, could be on the chopping block. It’s set to expire at the end of next year. Brad Heavner, policy director for the California Solar Energy Industries Association, said solar lobbyists are hard at work trying to persuade Congress to keep the tax credit, or at least let it phase it out over time. Losing the incentive altogether could mean an instant 30 percent increase to the cost of going solar. Yet Heavner acknowledged the industry (and future solar customers) could probably cope with a gradual drawdown. That’s thanks to another shift that could be just as meaningful. The cost of going solar has decreased dramatically over the last decade and that might soften the blow from all these other changes. A joint study released last fall by the National Renewable Energy Laboratory and the Lawrence Berkeley National Laboratory found the average price of solar systems fell 6 to 7 percent annually from 1998 to 2013, and by 12 to 15 percent from 2012 to 2013 alone. The Department of Energy’s SunShot Initiative set a goal of a 75 percent average decrease in costs from 2010 to 2020, and analysts concluded the nation’s mostly on track to meet that target. Most solar advocates say the industry can probably cope with more incremental changes but may struggle to keep pace with the immediate loss of the tax credit or drastic changes to net energy metering. “If we were to lose (those programs) immediately, we couldn’t drop prices fast enough,” Heavner said. —Lisa Halverstadt is a reporter at Voice of San Diego. Know of something she should check out? You can contact her directly at lisa@vosd.org or 619-325-0528. This seemed like an advertisement not a real news article.